Lena Prima’s Prima La Famiglia is Out Today! A standing ovation . . . Lena has the panache of her father. Lena Prima, the daughter of the famed New Orleans trumpeter/vocalist, Louis Prima, releases Prima La Famiglia on Basin Street Records today! A release party for the album will be held on Thursday, February 7 at 5 PM at The Jazz Playhouse in the Royal Sonesta Hotel at 300 Bourbon Street, New Orleans, LA 70130. Passed hor’s d’ouvres will be served. Join us for a great night of music celebrating this fine release. The heart of the album is in the title: Family. A proud Italian-American and longtime advocate of the Italian-American community, Prima set out to make an album of quintessential songs for the Italian-American family. In her own words, “It’s the music that Italian-Americans grew up with back in the 40s that carried on throughout generations. They played this music in their family homes, at Sunday dinners, weddings, and they are just beloved songs.” Lena Prima further solidifies the family theme with the fact that every track on the album (save the classic traditional Sicilian folk song “Cu Ti Lu Dissi”) was at one time performed by her late father, Louis Prima. 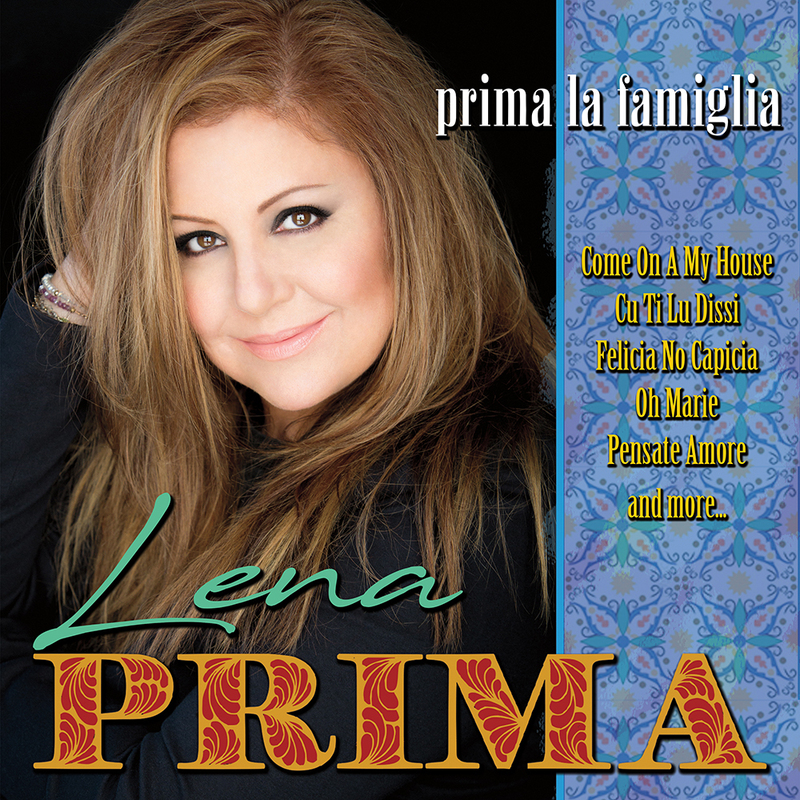 While Prima La Famiglia pays tribute to her father in this way, Lena offers fresh interpretations and a vocal style that are all her own bolstered by new, lush arrangements and orchestrations from Lawrence Sieberth that give the album an overall feel of class and polish. Fans of Tony Bennett, Liza Minnelli, and Frank Sinatra take note, there’s a new name to list in the halls of great classic singers: Lena Prima! Take an in-depth look at the making of the album! Lena Prima is the newest addition to the exclusive roster of artists on the award-winning Basin Street Records. Prima joins ranks with artists such as Kermit Ruffins, Rebirth Brass Band, Dr. Michael White, and Jason Marsalis on the 21-year old powerhouse label based in New Orleans. A seasoned veteran of the music industry, vocalist Prima has made over 3,000 musical appearances around the world throughout her career. Born in Las Vegas, but now residing and regularly performing in New Orleans, Prima is rooted in the music of the Crescent City, and in the words of Basin Street Records’ founder and president, Mark Samuels, she’s a perfect fit on the label.